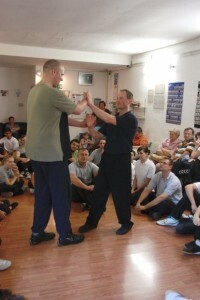 Sifu/Master Marcus Schüssler is a pioneer of the national as well as european Wing Tsun / Escrima martial art branch. 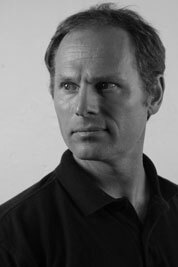 He practises both arts since 1981 und teaches since 1987 on a professional standard. 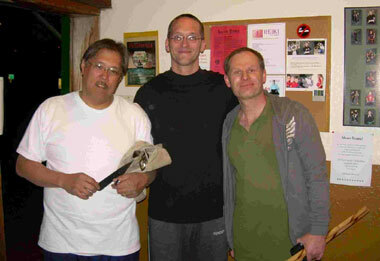 In all he is involved into martial arts for over 43 years. He authored two specialized books in German language so far. A third book series is in work. Through his worldwide travels, his national and European teachings he brings Wing Tsun and Escrima closer on the highest international standard for the IUEWT – International Union For Escrima & Wing Tsun (IUEWT), to which he is also co-founder. He speaks German, English and French. There are no people either too big or too strong – only a logical concept gives tools and abilities to even out unequal conditions! His main field of activity is the teaching of both martial arts on the highest standard as well as teaching new instructors for setting up new club activities under the organizational umbrella of the IUEWT.